I've read so much about the benefits and uses of coconut oil on the interwebs, and I'd been meaning to try it for a while now, but this semi-recent post by Stacy on Squirrel Chatter spurred me to action. 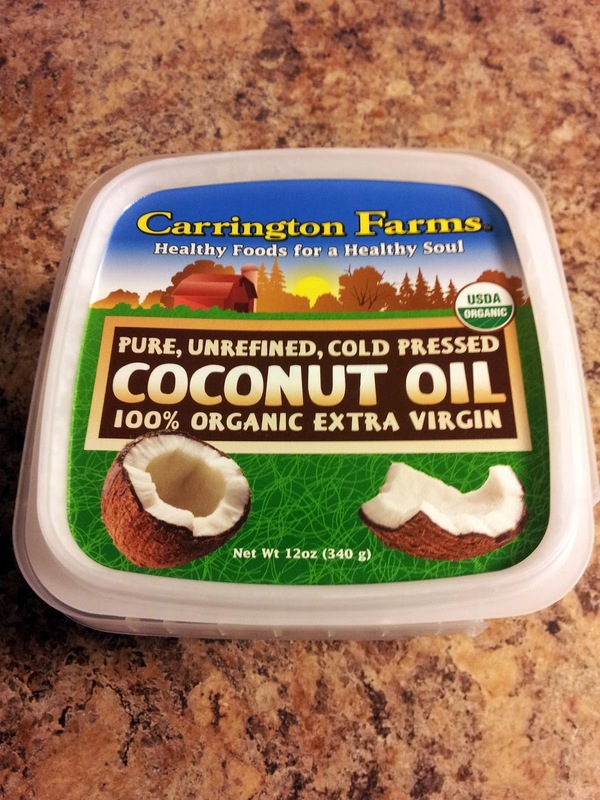 I poked around at my grocery store until I found what I was looking for, a 12 oz tub of Carrington Farms organic coconut oil. I was surprised to see what appeared to be a solid, white substance that almost resembled Crisco. I was expecting an OIL. What I didn't realize was that coconut oil has a melting point of 76 degrees, so as soon as it hits the skin it becomes the oil I was expecting. I've only been using it for about a week now, but thus far I've used it as a lip balm, on a scar that I'm hoping it will help minimize the appearance of, as moisturizer on my hands, on acne, and on a cold sore. This list of 50 of the Best Uses for Coconut Oil has many other interesting suggestion, some of which I'm sure I will try.